Q1: Out of all the writers I’ve had the pleasure interviewing and interacting with on WordPress, you so far as I know it take the cake for being in a unique niche that is very dark but also compelling. Having said that, what made you so intrigued with writing crime poetry? Were you inspired by crime films or shows that deal with solved or unsolved cases? Jonah: I’m obsessed with tradition and continuity, and the books of poetry I’ve published so far (under my “real name”) have modeled themselves on the greatest traditions: the huge universe of world religion, mythology and folklore (To the House of the Sun), and more modestly on the idea of prayer (Hymns & Lamentations). In terms of the shape and sound both of these books took up, among the most powerful influences was ancient Near Eastern literature, whether Egypt or Mesopotamia or the Old Testament; for this reason, both books now feel more like something I “translated” into English. A forthcoming book, mentioned below, felt as I wrote it like a return to the tradition of English poetry, and my crimes poems are a reflection of that, especially in the taking up of rhyme. This is a long way of saying that I came to crime poetry because it is another tradition, almost another piece of folklore and mythology, that still holds an immense power in the popular imagination. As I say on the website, doing crime poetry is a more conscious attempt to write what could be “popular” poetry, of nodding to poetry’s popular and bardic roots of actively dealing with and expressing a society’s history and immediate anxieties. Of course poetry still does this, but by and large society looks elsewhere for the main expressions of these concerns. I grew up in a house surrounded by books, and many of the earliest ones I remember were true crime. Through my dad I came to have an abiding interest in serial killers or the mafia, but also in history in general, and often its more brutal aspects. In grade-school sometime, when I first saw pictures of the starving and dead at Auschwitz, they looked to me like the starving Union soldiers who had been kept at the Confederate prison at Andersonville, during the Civil War. I had already been living with these photos, since they were in American history books at home. I knew pretty early on that much of history was violence and brutality. Q2: You told me that you have a book coming out. Do you have an ideal release date or are you currently still writing it? Also would you ever consider turning some into short stories that could propel you into a novel? Jonah: It’s coming out in the UK, probably in July or August. Called Bone Antler Stone, it’s a collection that spans most of European prehistory, from the famous cave paintings of Chauvet and Lascaux, to the “barbarian” contacts with Greece and Rome. This is another huge tradition to get lost in, that of ancient Europe. These are, I guess, “archaeology poems,” going into the artefacts, graves, villages, and sacred sites that have been dug up, and imagining their lives. There’s a great language and vocabulary archaeologists have at their disposal to describe the past, and I wanted to utilize that in poetry. In the same way, the vocabulary of crime—whether of violence, or of investigation—is equally like its own language, and I want to do the same thing there. If I’ve learned anything at all from writing both poetry and fiction, it is almost immediately being able to gauge whether an idea is a poem or a story, let alone a novel. Both the crime or archaeology poems could be turned into stories or novels by somebody else, but I don’t quite have the imagination required for historical fiction, or for a thriller. If I have any strength it’s in the brief burst of image or speech that can suggest the rest—someone commented that the crime poems could be novels, which I take to be a compliment, that they are a compressed universe that the reader imagines the rest of. And to be honest, one reason I won’t make longer prose pieces out of them is because that’s already been done. Many of the crime poems are inspired by books and movies and documentaries (there will likely be a poem on just this subject: the whole range of crime writing and TV and movies, from the most lurid and sensational on up). There’s a great BBC serial killer drama, The Fall where, during the investigation into one of the murders—the strangling of a woman—the detective says that all the neighbors remember hearing from the victim’s home was a hair dryer, in the middle of the night. I took that idea and made my poem, “The Hairdryer.” I also just read James Ellroy’s memoir about his mother’s murder, My Dark Places, and on page two he says his mother’s pearl necklace, which had been broken, was found two dozen feet from her body, on the road, and that a policeman was seen circling each scattered pearl with chalk. That detail will almost certainly become a crime poem, and it’s images like that which get a poem going. Q3: You’re relativity new to the WordPress community, so how has your experience on the site been so far. Have you come across fellow poets who you built rapport with? Feel free to give shout outs if any come to mind. Jonah: While I’ve only been doing the crimepoetry.wordpress.com for a few months, I’ve been over at wordandsilence.com, or some version of it, for more than ten years. The best poets I’ve come across are Daniel Paul Marshall, David Cooke, and J. S. Belote, three vastly different poets who are doing their own thing in marvelous ways. Jeff Sypeck’s Beallsville Calendar is also one of the best books of poetry I’ve read in awhile. Daniel and Jeff also each have amazing blogs. Q4: What is your writing process like, do you hand write or type a draft? Or do you think of a theme and immediately start typing? Jonah: Poetry is always handwritten to start, in a notebook only used for poems. For me poetry has to have its own place, it has to be approached almost superstitiously or religiously. As I said above, a poem almost always starts with an image or an anecdote I want to explore; but even then I usually have to wait until the first line comes. For instance: the second poem published here, “St. Magnus Cathedral,” is about a church on the Orkney islands of Scotland. I had tried to write a poem about this church many times, and gave up for more than a year; but when those first lines came, “In the sandstone walls of St. Magnus/are many migrations, many raids/and inroads and many an exodus,” I knew instinctually that the rest would follow easily. And it did. There’s really no answer for how or why this happens, and half the battle with poetry seems to be just being available and aware of when it does. Sometimes a first handwritten draft will come out easily, with hardly any changes; sometimes the page is covered in deletions and replacements; it all depends. Sometimes I’ll write a second or third draft by hand, but usually that’s not necessary, since the notebook isn’t the place to finish, but to begin. Later, usually a few days, if I think whatever I’ve written by hand is worth pursuing, I’ll type it out, and it’s always a big deal to have a poem graduate from the notebook to the computer. It gives it a sense that it might actually last and be something I send out. (To give you an idea, all told about ninety poems were written for Bone Antler Stone, but only sixty of those were kept in the final collection.) And from then on it’s revised on screen, or printed out on paper, and very often it’s entirely rewritten, and this revision continues for years. But it has to begin by hand, and all along the way it’s read out loud—nowadays, read out loud to my young daughter, who will either love or hate poetry, I can’t tell yet. Jonah: The real goal is empathy, giving the reader the experience or emotion associated with a person or a place or a time in history, giving them a chance to enter into another kind of life. I really believe that art, shorn of all of its theoretical and specific cultural details, is about alleviating loneliness—the loneliness of the artist as well as the audience. Despite all the social and cultural demands today, on the artist and the audience both—whether to become experts at marketing, networking, or in being able to sum themselves up in a succinct profile or identity—most people I know are still pretty awkward in a crowd, and our most meaningful experiences still take place in private, whether with a small group of people, or in the private experience of art. That’s really what I’m after, and the bluster of social media and its variants are nothing compared to having created a character or a sense of place or emotion that is as real to the reader as any actual person, or memory. As for complexity, I like what one poet said, that he wants his poems to be generally understood on the first reading, but to have enough going on for it to warrant more and more readings. 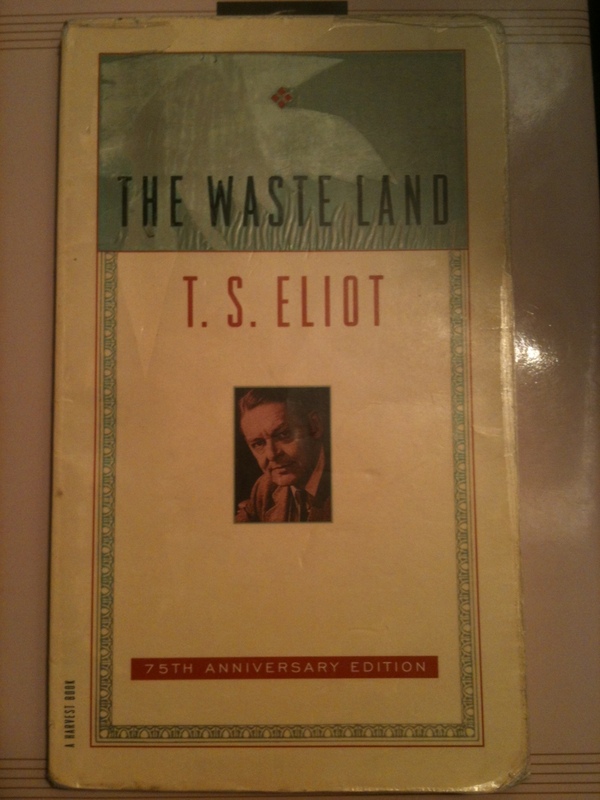 I still remember, at eighteen, driving around by myself listening to T. S. Eliot read his poems. Language and rhythm became a part of me, and I want my poems to be lived with in that way; and with the crime poems, I want people to be able to chant them, for them to get stuck in your head. But the demands of the structure or content—whether adhering to rhyme, or just syllable count, or something personal to the writer—inevitably brings about surprising words choices. But this is why it’s a poem, and not a newspaper article. For me anyway, it’s not a matter of hiding anything from the reader that they have to “figure out,” but just of making a kind of language that is worth their while and their time. and saying, It won’t be me. because he’s sitting right there. Q6: Can you talk about a time or experience that caused you to immerse yourself into writing consistently, especially poetry? Also what did that particular experience means to you? Jonah: When I was in the sixth grade, my family moved about forty miles away from the city I was born. I was stubborn and refused to make friends in my new home, and almost as a way to deny that we had moved at all, I began writing stories about the weird people in my old neighborhood. By the end of grade-school and into high school, this early stuff had become a huge interior world of probably pretty awful novels and short stories, but they were my escape. I really haven’t stopped writing since then. Since I was raised Catholic, I’m sure the earliest poetry—the earliest singing and chanting and reciting of verse—came in church, so it’s no surprise that this stanza hit me so hard, or that Eliot points the reader towards the Old Testament prophet Ezekiel. Back then I couldn’t respond to a lot of English poetry, and while Shakespeare had hit me earlier, it was his ornateness that did it, the idea that it was clever and complex. Whereas Eliot hardly uses an uncommon word, and most are only one or two syllables. It’s plain-spoken in a way, but unbelievably powerful. It took time to appreciate how the rest of the poem takes on more voices and more complexity, but that stanza is still the primal moment for getting into poetry, for me. It’s also a good general lesson in the kind of poetry I still veer towards, and still try to write: that is, rather than describing something strange or complex in language that is also strange and complex, keep to a language that is fairly simple, and pitched just a little bit higher than that of common speech. And indeed, the first chapter of Ezekiel is a great example of this, as Eliot must’ve known. I found Eliot during the spring and summer before I turned eighteen, and I bought a pocket-sized edition of the poem and carried it everywhere I went, reading and rereading; I remember sitting at a restaurant and going through the poem and being mesmerized by it, and it seemed to be my own secret that no one there knew anything about. If I otherwise felt that I didn’t belong much of anywhere, I suddenly knew that I belonged with this kind of language, that my own personal experiences could be evoked alongside history, and that it could touch somebody like me in the future, sitting alone in a restaurant. Q7: How would describe the current state of poetry and should schools emphasize creative writing and poetry in English curriculum’s? Did you ever take creative writing courses in high school or college, because I did in college and that was the time when I started writing short stories and poetry. I wasn’t so good in my opinion with the short stories but the poems are what allowed me to excel in the course. Jonah: I’ve written a bit about the current state of poetry here, but followed it up with an essay by somebody else from back in 1993, which raised many of the same concerns, showing that 2018 isn’t so different. The enthusiasm that poets give to poetry—and which is lavished on the poetry of the past—obscures the fact that most people don’t care for poetry at all; something like less than 10% of people in America read poetry of any kind. This is disheartening in a way, since it means that the ones who are serious about it are mostly left alone to get on with it. The isolation of the writer seems to me an inevitability, and so anything which stresses it is a good thing. But many people don’t want it to be this way, and so you have the MFA industry, which seems to be less about the work than an excuse for getting into a program to network and build a reputation. People whose judgment I trust that have been through MFA programs all say that eventually a kind of sameness and conservatism is emphasized, whether for poetry or fiction. If this is true, it means that many people starting poetry journals, or the readers for those journals and magazines, and eventually the people-who-know-the-people who-know-the-publishers-and-editors, simply don’t have an eye for quality, so much as for poets good at networking and marketing, encouraging the kind of self-reinforcing echo-chamber thinking that’s damaged our view of the media and the news. Certainly these programs, and the machinery of grants and fellowships and contests and teaching positions that otherwise wouldn’t exist, all keep poets fed, or keep them from working other jobs. But I don’t think these circumstances have necessarily helped to create better poets, or better poetry. That said, I’m not against the teaching of creative writing or of literature, since the structure of both allow for the kind of accidents that can inspire a serious writer to their vocation, as with your experience. It meant the world to me when, as a freshman in high school, I was allowed into a creative writing class technically meant for older students. But after a certain age, if you keep yourself open to exposure to as much history and culture as possible, these kinds of accidents will happen all the time: just listening to the hundreds of episodes of the BBC’s In Our Time has been a way in to so many things for me. If a young poet asked me what they should do with themselves, I’d say to take a creative writing class or get an MFA if you want, but don’t mistake the camaraderie or competition you find there for the actual substance of writing poetry, or observing the world. I’d say you’re much better off getting on a bus with some notebooks, or immersing yourself in the biographies and letters of writers and artists you most admire; or you’re better off reading the diaries and journals and first-hand accounts of anybody you can find at all, people who would’ve never called themselves writers but have left astonishing records of what it is to be alive. This is just the bias of my temperament; some people read things through a feminist or Marxist or historicist lens, while I guess I prefer the anonymist lens, since how we deal with fame and the need for attention and recognition—and how we believe this was handled in the past—crosses political and gender and other lines. I even have a book of essays in mind, Isolation and the Artist, that will illustrate how our notions of fame and sociability aren’t nearly as important as, to use Eliot’s words, “the intense moment isolated.” It’s worth remembering that every great idea—every piece of art or religion or culture or philosophy that has since informed and supported civilization—began in one person’s mind and was known only to them. It was, to begin with, private. And especially given social media’s propensity to make everything about everyone public, and make everyone attention whores, writers and artists ought to seek privacy and silence, even anonymity, as much as they can. Q8: If you could describe your writing with one sentence how would it go? Many thanks to RhymeRula, who interviewed me about crime poetry & writing in general, over at his Real Free Flowing Words. It’s the most I’ve said about writing all in one place, so check it out, as well as his other interviews. An insightful interview with poet Tim Miller. It was my pleasure. I enjoyed the interview with Tim, and wanted to share.